Favourite Sports Memory: Playing in at home for the Vanier Cup. As our team was introduced, fighter pilots flew over the stadium. It was one of the most energizing experiences I have ever had. 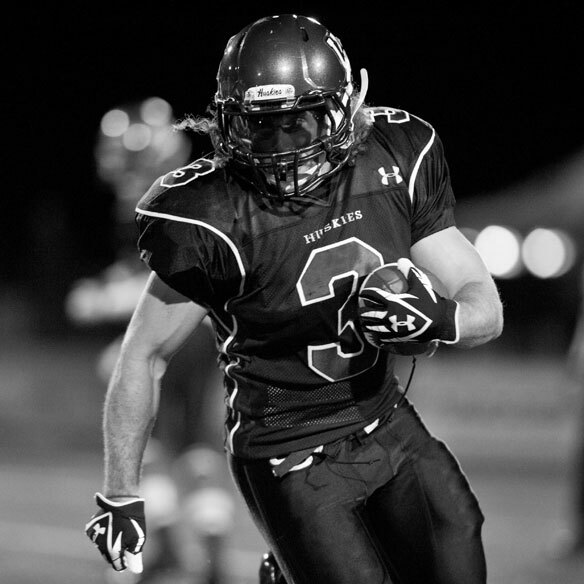 How you got involved in your sport: I was a College Football player and track athlete at U of S. I was recruited in my senior year by BCS to test at a blue chip camp in Calgary. I tried pushing and loved it. The moment you knew you wanted to represent Canada: Watching Simon Whitfield win the Triathlon at the Sydney Olympic Games. CAN Fund Testimonial: It is unexplainable how important CAN Fund is for me as I prepare for Sochi. It allows me to focus on being the best I can for Canada in hopes of representing my country proudly on the podium. Share one valuable tool that you use on a daily basis that helps you to be the best athlete you can be: I stay hungry. This can be applied in sport and in life. The same kind of hunger you feel if you haven’t eaten all day, you’ve worked, trained and all you want is food, and once you’ve finally eaten as much as you can you still want more. A hunger that is never satisfied allows you to push yourself past any barrier your mind can cook up. Who is one person in your life that has impacted your career and what was it that they taught you: Bart Arnold. He is both a professor in the college of Kineseology and Strength coach for the U of S football team. He taught me how to tap into my abilities and improve them at a point in my life that allowed me to become the athlete I am today. Through hard work, any goal can be achieved. Have you read any articles or books or watched any videos or movies recently that really inspired you: I often watch The Last Samurai before races. The main character comes from a difficult past of loneliness and emptiness. He finds himself in a situation that he can fight for what he believes in and ultimately his destiny is revealed to him. Fun Facts: I paint in my spare time. I’m not particularly talented, but I manage to put paint onto a canvas. I never eat tomatoes. I believe they make a person slow, I have no real evidence for this but it’s a superstition of mine.